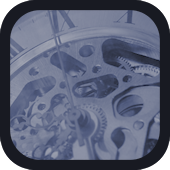 Having trouble logging in from your phone or tablet? It looks like you're having problems signing in to your Senomix account. We're here to help! Are you using an Android device? If you're using an Android phone or tablet, such as the Samsung Galaxy S3, you'll need to use Google's Chrome web browser to connect to your Senomix account. Google's Chrome browser is available at no cost and with a quick installation through this link. The browser included with Android phones (the one you start with your device's Internet icon) is still a bit behind current technology and will not work with your Senomix account. Once you have installed Google's Chrome web browser, please open your Senomix sign-in page in Chrome and try connecting again. Did you enter your account name? 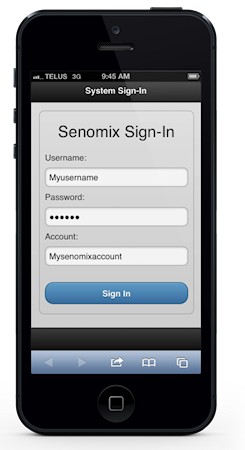 When signing in, you'll need to enter your Senomix account name exactly as it's been registered for your office. You can have that field filled out for you automatically by clicking to your mobile sign-in screen from your office's Senomix sign-in page. Please double-check that there isn't a typo in your entered Senomix account name and try signing in again. If none of the above has worked for you, please do contact us. We'll be happy to help!